FADJA, or Feria Annual de Juegos de Azar is coming to its 21th edition and Sirplay is happy to announce its presence at the show. It will be the fifth time in a row the Maltese Firm will be present in Bogotà for FADJA. This show has become a must for every Provider and Operator working in the South American territory. Essentially, FADJA is a must for everyone who has deep interest in the iGaming Culture in Latin America. In the last year, the Latin American market came through with big updates. The City of Buenos Aires is licensing Online Gaming in its purest form. It will become sooner than later officially active. Big news for the continent do no stop here, though. Besides this, Brazil approved a law for legalize iGaming as a whole and in the next months there will be updates on it. Sirplay is attending the show with great hope and expectations for the months to come. The company has seen the potential of the Latin America years ago, and joined as a first entrant in the market with great results. This will be the greatest engine for this year’s trade show. FADJA has become a must for Sirplay. Sirplay, by contrast, has become one of the main players of the continent. Therfore, The Gaming Solutions Experts will attend FADJA. This, in order to reaffirm the company’s willing to make iGaming in the continent a thing. In which condition? Of course, as one of the few betting providers with more than two-year experience in the Colombian regulated gaming market. This means that the Sirplay team has the know-how for those willing to improve their competencies in the country. Big news are coming and hopefully, Sirplay will officialise something during the next days. A big partnership is coming up. 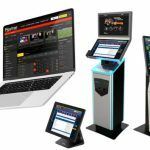 Something we worked for months and that “SBS”, one of the most recognized Sportsbook Platform of the continent. A showcase of the firm’s will be available for those who missed ICE 2019, too! Meet the Sirplay and its Advanced Bookmaking Solutions on 10th and 11th April 2019 in Bogota, Colombia, at stand No 67 for the 21th edition of FADJA or contact us here.